Ed Wallitt is an ex-doctor who left everyday practice to set up a medical IT consultancy and software development company (PodMedics). Ed believes that IT in the NHS should and can be better and doesn’t have to cost the world. It is his mission to create high quality and efficient software solutions to problems that help patients and those delivering care – bridging the gap between healthcare and IT. You recently became a father – congratulations. How has it been juggling entrepreneurship with fatherhood? It’s fine…I am lucky I have a very supportive wife and everyone at Podmedics works from home. You figure it out…it’s the best thing in the world being a father for the first time. How many people do you have working at Podmedics? What is the mix between medics and non-medics? 10 people. Mix between developers, designers, user interface experts, sales people and medical editors who work on content. Some work part-time and some full-time. The medics tend to be employed as medical editors, they can’t do everything…we bring in specific non-medical expertise for the other roles. Ideas are worthless until you do something about them. We tend to recruit people straight out of university. We don’t go much by CVs but we do have to skim them. I invite shortlisted applicants to do small bits of work as a mini-interview for a week with me. For example, they may design a sample interface [for the website] during this week. If successful they are hired on a one-month probation period. For medics out there interested in working with Podmedics or other software startups – what would be your advice to them? We look for medics with considerable IT skill even if they will not be working on the tech side…they must know a little about technology. Aside from this there are 2 key skills, first is an ability to communicate very well. As we are a remote working team this is an essential skill. Second is wanting to learn…this is the most important thing. I know orthopaedic consultants working on medical devices that had to learn all about metallurgy. Don’t send an email saying “I’m interested in medical education and technology…” – I get lots of emails like that. I just respond by saying “if you are interested then do something”. So many people have ideas but don’t do anything about them…90% of the time people don’t do anything. Ideas are worthless until you do something about them. Learn about software – speak to the IT team at your hospital, go to a hack day, meet developers, start a blog about your idea, do user research to figure out if the problem you are trying to solve truly is a pain point for people, would they use your solution? Some universities can also be helpful. Doctors actually make great programmers. They are good at modeling complex systems such as the circulatory system, and compartmentalising complex things. This is exactly what coding is about. What tools do you use to help with remote-working? I am a big anti-meeting person, usually I find one person dominates meetings. We are very task-focused at Podmedics – we use a web app called Blossom for task management and Slack for instant messaging between colleagues. When I first had the idea of Podmedics I got bitten by trying to outsource the tech side so I decided to try coding myself. I read online, bought books and applied what I learnt to building Podmedics. It is important to have an actual project to experiment with whilst learning. I note you are developing a Podmedics app, has this been technically more challenging than the website? It is different. App development used to be harder but now there are resources like Treehouse and Code School. With these resources you can learn app development from scratch. Apps can also be made with web technologies now. The Podmedics website was designed to work well on all devices, it has a responsive design and that is important. What challenges have you faced selling in to the NHS? It is challenging to sell directly into NHS. Work has come from people commissioning us to do projects. For example, in Brighton we have developed a mobile app to send HIV results to patients in the community. This work is now being supported by a £4.5m Horizon 2020 grant to extend it out to hospitals in Europe. We do lots of work in HIV/Sexual Health – we are the app providers for the British HIV Association. Podmedics also developed QPORT for the Central and North West London NHS Foundation Trust, an online medical education portal bringing trainees and trainers together in the same system. Change is the main challenge – the difficulty is there is no drive to change existing products within the NHS. Going in with a product they [NHS] have not specifically asked for is difficult. If they had asked for a product it is much easier to sell. Gaining preferred provider status from the NHS is crucial – what tips do you have for budding entrepreneurs? Develop a product that gains traction amongst NHS clinicians, as that will help you get recommended to more senior decision makers in the hospitals. Developing relationships with and getting support from consultants and clinical directors is very good – they can put influence on decision makers. You have to work very hard to build relationships. For example, through Induction we have generated relationships with consultants that have used and liked the app. Induction has gained significant traction amongst doctors nationally – what marketing strategies have you used? Marketing has been hard – we have mainly used word of mouth. The fact that Induction is a crowd-sourced app helps with this. 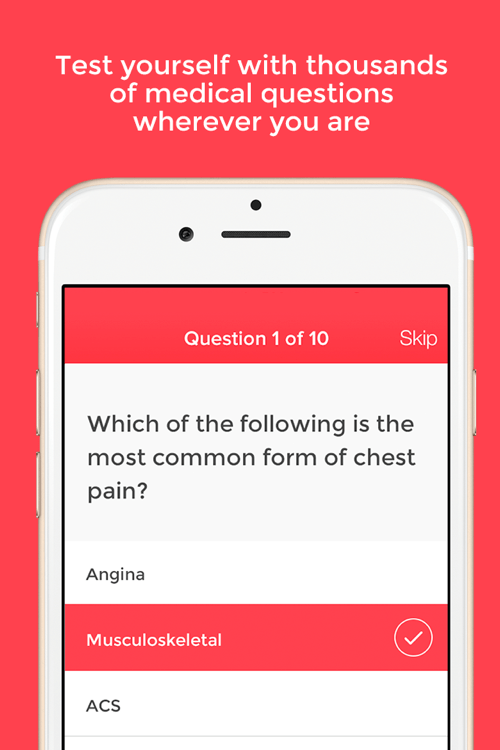 We have clinical champions, typically junior doctors, in hospitals that help promote the app. Hospitals have also featured us on their newsletter that is sent to doctors. Develop a product that gains traction amongst NHS clinicians, as that will help you get recommended to more senior decision makers in the hospitals. I hear you are planning to expand Induction globally – what are the key challenges you anticipate with global expansion? It is better to build products for markets you know…Australia is an option as their healthcare system is similar to UK. USA is more challenging as their bleep systems are different amongst other things. Where do you see Podmedics and Induction in 5 years time? The question is do we focus on IT consultancy services [cash cow] or products [less reliable revenue but higher chance of winning big]. I’m on the fence – for the moment we will continue to build on the products we have using money we make from providing consultancy services. In 10 years ideally Induction would be the product I sell out with. Currently I am very central to the consultancy work but it is requiring me less and less – I am doing that on purpose by training juniors. Vishaal graduated from UCL Medical School in 2011 and completed Foundation Training at the William Harvey Hospital and King’s College Hospital in London. 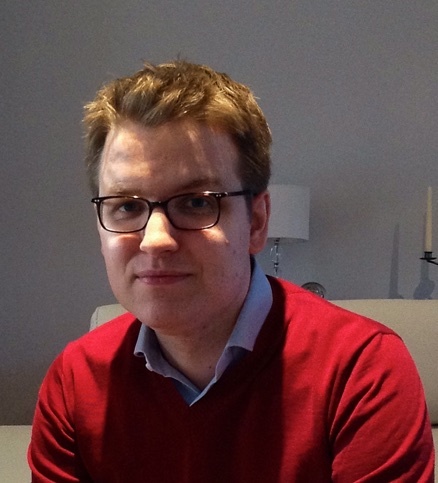 He then worked at a start-up healthcare consultancy, Mansfield Advisors, for two years, and then as a strategy consultant at OC&C. Vishaal currently works at Ada Health.